We enjoyed this during the time of Etisalat, and it is still very much available now on 9mobile. Do you remember MyEtisalat free 200mb? Which offered free data to users who downloaded the MyEtisalat app. Now it’sMy9Mobile free 200mb Data for August 2018, and if you repeat the same steps, you’ll get another free 200mb data on your 9mobile line. My9Mobile is a self-service platform that offers simplified, convenient & secure access to your account. With it, you can easily see your balances, usage, validity & another status. 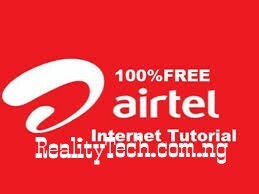 It also helps you buy data or airtime, send airtime or borrow airtime, and many more other services! The free 200MB data from 9mobile is a reward for downloading the My9mobile App. But who cares, as long as it can browse any site, download any file, and stream online contents. It works on all devices also; be it PC, phones, etc. Interestingly, you don’t even need to download the app, simply follow the below shortcut. • Register and fill out all the required details correctly. • An OTP code will be sent to the 9mobile line you used for registration, copy and paste it in the verification box. Don’t forget to accept terms & conditions by ticking its box. • After successful verification, click on submit to complete the registration.